Just in time for the holidays comes this buttery shortbread bar with a bold ribbon of fruit preserves, straight from (sort of!) my grandmother’s kitchen. Betty is my grandmother and is arguably my favorite person on the planet. Growing up as a picky eater, she was my culinary hero. Her traditional recipes were predictable perfection, thanks to her rigid insistence on following recipes precisely. No substitutions, no deviations – if she didn’t have enough of an ingredient, say, vanilla extract, she wouldn’t bother with the recipe. Contrast that with my mother, who was a bit of a nonconformist and rarely followed a recipe. So in there, I ended up with a style that blended the two. Which is why you do not see anything remotely resembling raspberry depicted in the photos accompanying this post. More on that later. As a child, my grandmother’s mass Christmas cookie baking was a highlight of the season for my extended family. Usually, she made no less than eight varieties, but as the years went by, this one emerged as my favorite. Its crumbly, buttery base merged with the pecan, and a tangy raspberry jam made it feel special, like an American Linzer cookie. In my teenage years, I asked my grandmother to share her secret recipe. The “secret” turned out to be a bit of a buzz kill. Some of you may remember an episode of the TV show Friends, in which chef and resident Type A Monica tries desperately to recreate the perfect flavors of Phoebe’s grandmother’s chocolate chip recipe. Unsuccessful, she begs Phoebe to share the secret recipe, only to learn that the secret came from Nestlay Toulouse (said in a heavy French accent). In reality, the recipe came from the back of a bag of Nestle’s Toll House chocolate chips. This recipe is my family’s Nestlay Toulouse: It actually came from the back of a box of Land O’Lakes butter from the late 1970s or early 80s. That discovery was a serious downer. My beloved culinary hero’s amazing cookie was not nearly “hers” or our family’s. Yet the way she perfected those bars, the love used to make them, and the excitement of family brought together couldn’t stop me from making these my own holiday classic. The original recipe calls for seedless black raspberry jam or preserves. Try searching for it at a market; your options are limited. So one year, I substituted apricot preserves, and a new hit was born. My friends often preferred the apricot to the raspberry version. I like them equally, but raspberry brings out the true Christmas family nostalgia for me. 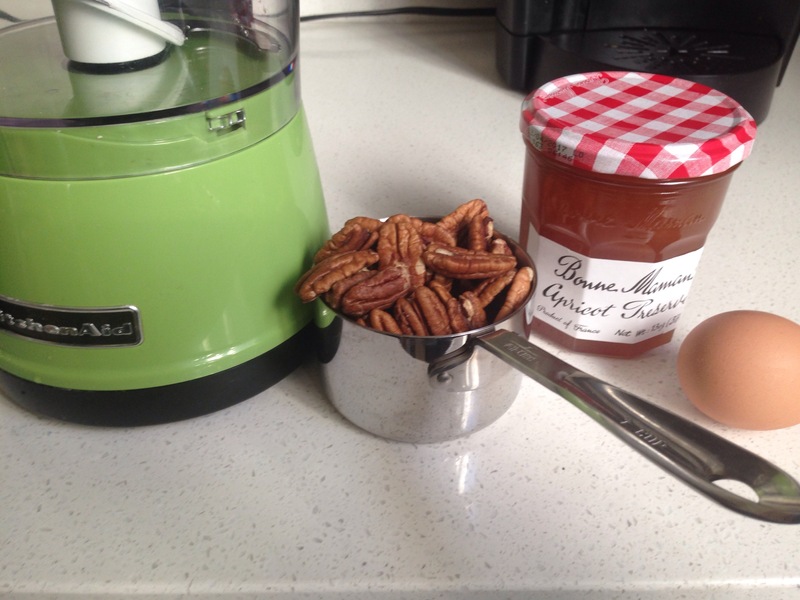 While I’ve memorized the recipe and have made a few adaptations (I prefer finely chopped pecans rather than chopping them by hands), I like to think I still follow the spirit of the recipe. I also recommend using Pyrex glass baking dishes instead of aluminum. Whichever you choose, just monitor the dish during baking. Try these out for yourself. They are incredibly easy and even more addictively good. I guarantee they will disappear, so snag a few for yourself! Preheat oven to 350 degrees Fahrenheit. 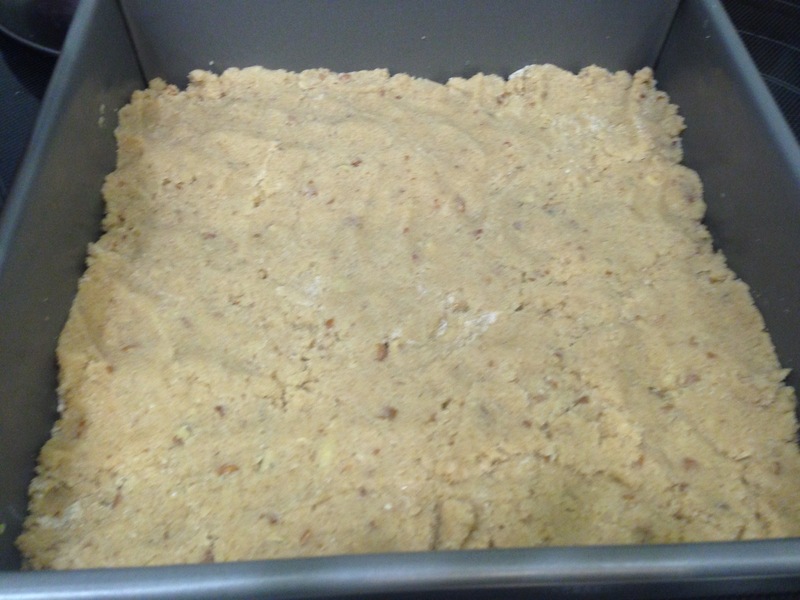 Grease an 8″X8″ square baking dish with butter. Set aside. 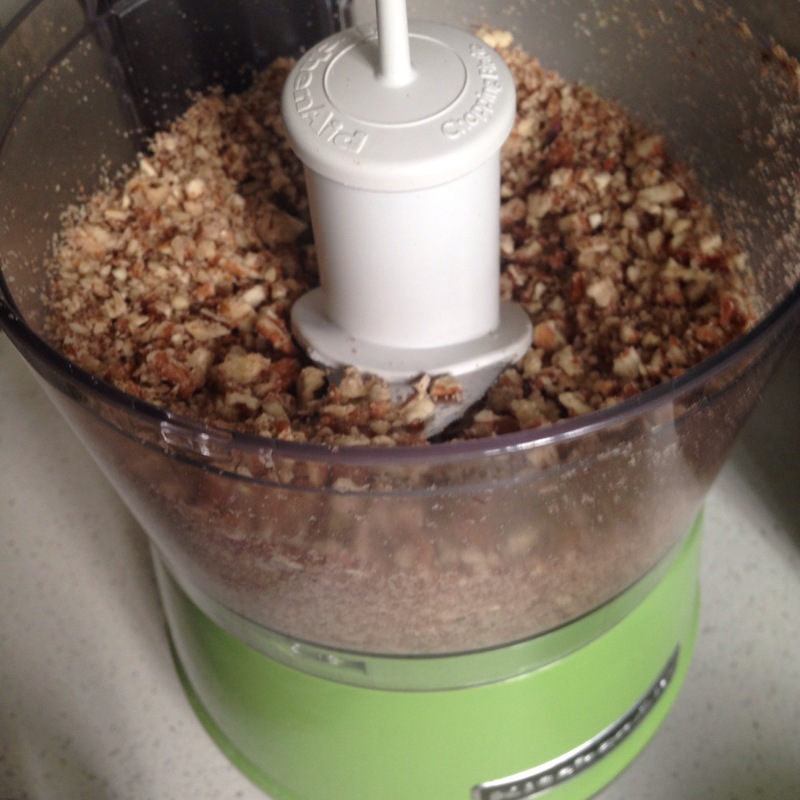 Chop pecans roughly by hand, or finely chop them by pulsing them in a food processor. Set aside. In a large mixing bowl, cream together butter and sugar. Beat in egg by hand (not literally; with a wooden spoon). Mix in the salt and vanilla extract. Fold in the chopped pecans. Gradually fold in the flour. 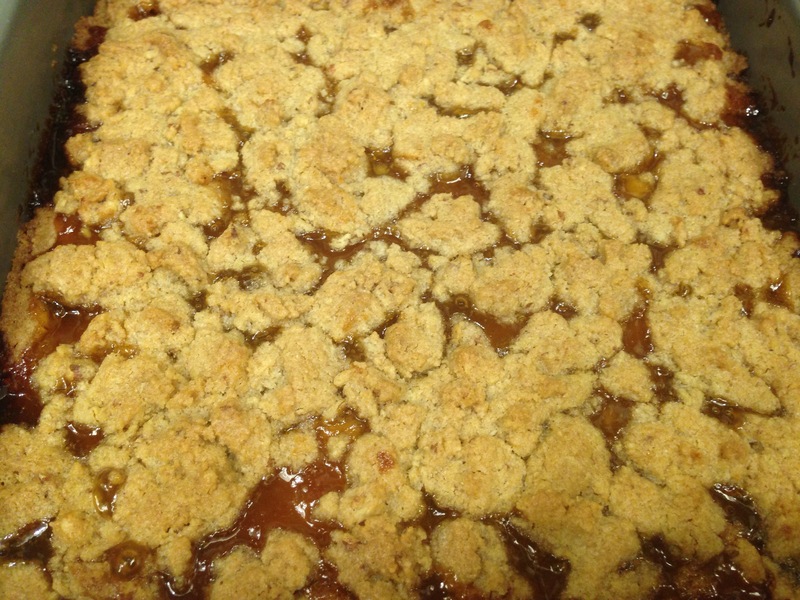 The consistency will become crumbly by the last 1/4 to 1/2 cup of flour. Incorporate flour fully, but there is no need to over mix. 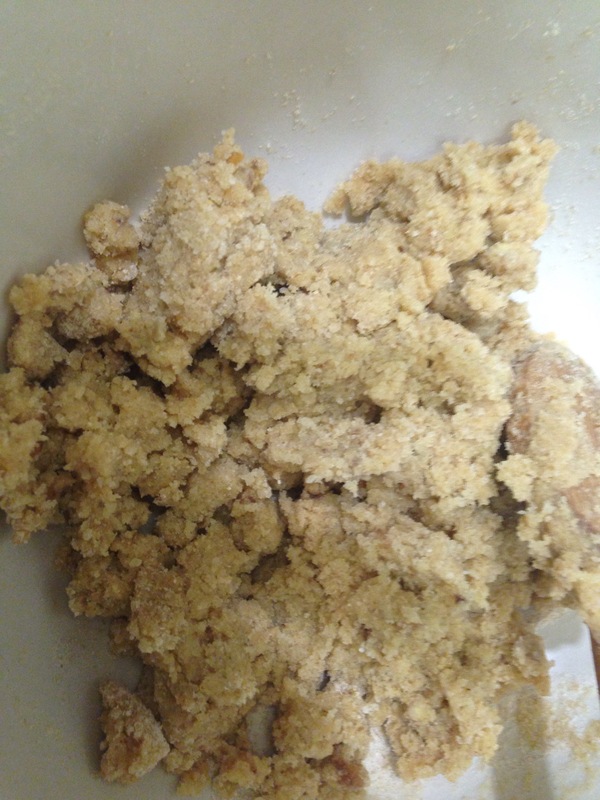 Press about 2/3 of the mixture into the baking dish, leaving at least 1 cup of dough in the mixing bowl to top the bars. Ensure an even layer covers the pan fully. Next, spread the jam/preserves in a thin layer to cover the pan. You may leave about 1/4″ uncovered by jam along each edge to prevent sticking/burning (less of an issue in a glass baking dish). Crumble the reserved dough atop the jam layer, covering as much surface as possible. Bake the bars for 40-50 minutes, or until the tops and edges begin to brown slightly. To test, insert a knife in the center to ensure the cookie is soft but slightly firm. 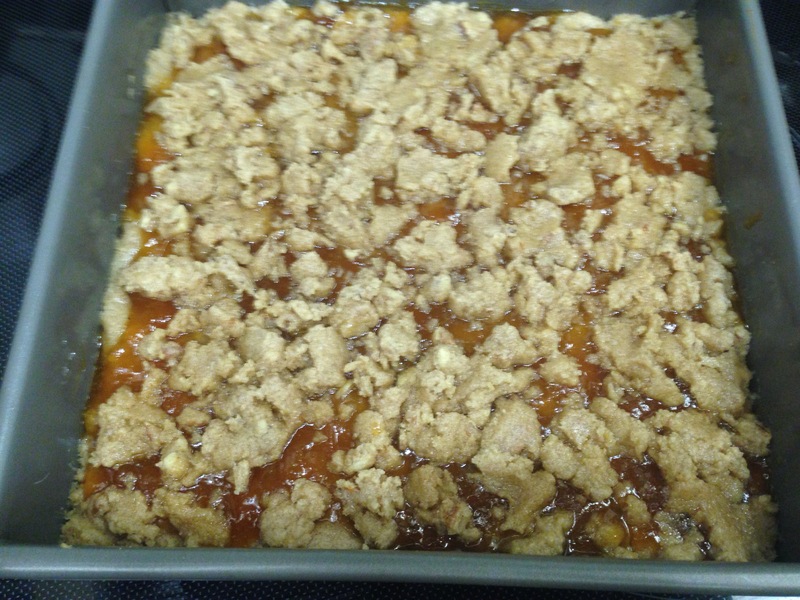 Remove from oven and allow to cool for 2-3 hours before cutting the bars into squares.